25mm BLU-RAY MULTI CASE (HOLDS 10 DISCS) VIVA ELITE 10 Tray 25mm BLU-RAY MULTI CASE (HOLDS 10 DISCS) VIVA ELITE 10 Tray [BRC-100610] - $4.99 : MegaDiscStore, Your choices of High quality CD DVD Blu-Ray Replace cases! 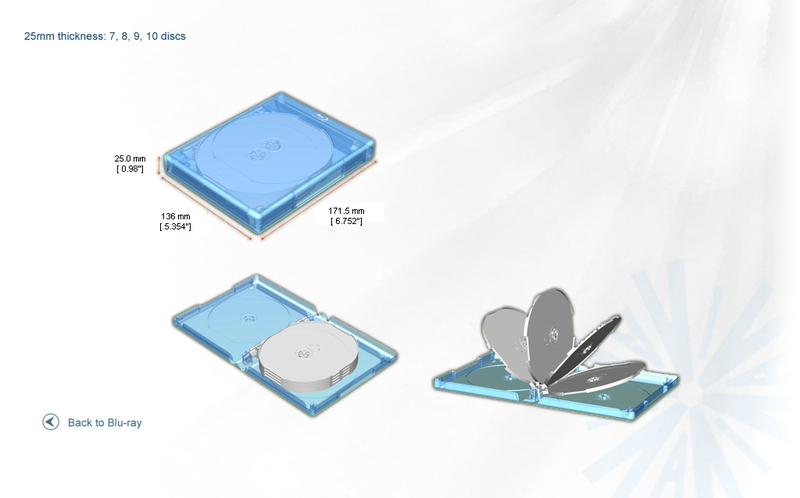 * 4 of the Middle Tray hold 8 discs(each side hold one), the top and bottom inner side each have a hub to hold 2 discs. * Case capacity: can hold up to 10 disc.